Ron’s first experience with martial arts was when he lived in an apartment complex going back between 1967- 69. His next door neighbor, who was a black belt in Tang Soo Do who claimed to get his instruction in Korea, gathered a few kids in the neighborhood and taught them right outside of his apartment. They would practice the Katas and point sparring, which was the way to practice their fighting in that particular style. Ron gave explanation on how his teacher used to make him do knuckle push-ups on cement and then punch trees or the side of a brick building. He also explained how he thought that one day he would have the punch from hell, believing this was the way to harden his hands and create a powerful punch. Nowadays of course, everyone knows that this isn’t exactly how to go about having a good punch or any type of strike. Toward the mid 70’s, Ron had met a man that would change his life forever. His name is Joe Rossi, who is now unfortunately deceased; he was the Grand Master of a Filipino martial art called Kuntao. Ron said, when he went in to watch a class and he saw one of Mr. Rossi’s students was putting a headlock on him, then Mr. Rossi was demonstrating how to escape. The guy putting the headlock on looked like he wasn’t administering it with any kind of effort so Ron asked if he could put him in a real headlock. Of course, Ron assumed this old man would have no chance of escaping especially since he had used it successfully in street fights previous to this encounter. Ron put the headlock on this Kuntao master with full force and the next thing he knew was he was on the ground, head first with his face into the ground and pain coming from his shoulder, elbow and wrist with his fingers bent back all the way. Not satisfied Ron asked if he could do it again. This time assuming he could do it with more base and hold it much harder so to prevent such an easy escape this time. Mr. Rossi fully confident, obliged him. Ron put it on harder trying to bring him down to the ground. Mr. Rossi again sent him face down on the floor with excruciating pain coming from his arm again while having complete control over him. Ron had grown up in a housing project much of his early life and had been in many types of street fights. But never, at that time in his life came across anyone who could just move him around so easily and cause such excruciating pain with what looked like hardly any effort. This truly impressed Ron after going through all that, so without any hesitation, he joined The Rossi Academy of Self Defense and after that he maintained a very close relationship with his Kuntao instructor for the next 25 years until Mr. Rossi’s death in November 8th 1998. His death hit Ron and everyone else that knew Mr. Rossi well, very hard. Ron right now is the highest legitimately ranking instructor under Mr. Rossi, having received his 6th degree black belt in back in 1995 and having spent more time learning the Rossi Kuntao fighting method under the Grand Masters tutelage longer than any other student can make possibly make claim to. Ron’s students and the majority of other students that were under Mr. Rossi now look up to him as the most knowledgeable technician in Kuntao today. A little over two years prior to Mr. Rossi’s death, Ron had an idea of how to get all the people together that had acquired a black belt at different eras of Mr. Rossi’s life, which lead to people getting to many different views of Kun Tao due to the various ways they were taught. It was a way structure the art of Kuntao together to get rid of the egos along with some other problems that existed within the Kun Tao group. Ron renamed Mr. Rossi’s art the Rossi Kuntao System due to the fact that the Grand Master had done a lot to his art to make it uniquely his own. Not long after that, Mr. Rossi’s health started to go down hill to quickly before Ron could help him get this idea going. However, Grand Master Rossi’s Kuntao system lives on today and is still being taught to anyone willing to learn it at Ron’s school. Ron is proud to say that he had spent more time with Mr. Rossi than anyone else ever did and he is the only one to have his instructors whole Kuntao system with both empty hand and weapons aspects with no missing pieces. Back in 1978 there was a seminar being held in Connecticut and Ron was curious to learn about other Filipino martial arts. He first started to continue his research in martial arts by getting his experience in the Filipino stick fighting arts with Remy Presas. Mr. Rossi knew Remy Presas and knew about him coming to Connecticut so he brought Ron and a couple of other students to meet and learn from him. Then not long after that, back in 1981, he got his first Wing Chun experience by traveling down to Atlanta Georgia to work out with Sifu Francis Fong. Ron still try’s to see Sifu Francis Fong as often as possible and gives him (Sifu Fong) credit to his education of the understanding of body positioning and body structure for every martial art he has studied. The way Sifu Francis Fong breaks it down, is to show the balance of the body with the proper muscles used together to gain leverage advantage by understanding your centerline as well as explosiveness and power with minimal effort. Definitely an area Ron says, is not fully understood by many people in martial art world today. Ron had met a couple of other Wing Chun instructors…Philip Holder and Brian Cunningham starting in February of 1983 and trained with them both for approximately 5 years. During that era in Ron’s life he had also started also going to a stunt school to learn all basic stunts such as high falls, getting hit and dragged by cars, falling down stairs, fight scenes, getting shot off horses, falling off roof tops, etc, etc. He also learned a little about acting as well as how to make and use of different types of special effects typically used in stuntwork. When Ron graduated stunt school from a company called Stunts inc., he traveled all over doing stunts and small acting parts for fairs, festivals, small time TV commercials, live stage shows and coliseum shows. Ron also did stunt work in a western town in Sterling, Connecticut for about a year and a half, called “Cattletown.” It was there he had once did a comedy fight scene with Mike Norris, Chuck Norris’s son in front of an audience of about 1500 people. Due to Ron’s experience in stunt-work along with his extensive back ground in the fighting arts, he soon was given the chance a small number of times to coordinate some fight scenes for a few different live stunt shows. In the mid to late 80’s Ron started to travel around to do many more seminars, training camps and private training to do more research in Jun Fan Gung Fu, Jeet Kune Do and all the related fighting arts. Starting with Guru Dan Inosanto, Sifu Larry Hartsell, and Paul Vunak. Then around 1987 Ron started traveling to Paul Vunak’s house to do some personal training with him. Ron received his apprentice instructor under Paul Vunak after a good amount of going to Paul’s home to learn Jeet Kune Do Concepts in addition to a number of his seminars. Ron then started to sponsor seminars with Paul in NYC from 1990-1993. Around that same time Ron was also sponsoring seminars for Royce, Rorion and Relson Gracie and doing private lessons with them long before anyone knew who they were on the east coast. During that time period Ron was also establishing a very good relationship with Sifu Larry Hartsell. From 1990 to the present Ron had sponsored Mr. Hartsell at his school for seminars twice a year. Of course Ron took advantage of Sifu Larry Hartsell being at his school by getting as many hours of private training and learning time in with him every time he was there. Ron’s fondest memory’s with Sifu Larry Hartsell are the good times of training on the side of the road or in a parking lot as well as the times in his hotel room doing trapping or fighting for superior clench position. Whatever camp or seminar Sifu Larry was doing Ron did his best to make sure he was there. Ron is now a proud certified Full Instructor under Sifu Larry Hartsell and a certified Senior Instructor under Paul Vunak. Two very prestigious ranks which he had received in 1998. Going back to 1988 Ron had opened up his first school out of his garage, quickly acquiring about 10 students who were curious about his fighting methods which to the public eye, was much different than what was being taught at the other schools in the local area. He says he kind of trained people in a very hard-core way in those days. Ron says he had the attitude in those days if you wanted to learn hard-core martial arts, “here it is; now lets see how good you can get.” And anyone who started with Ron in those days did get good, but he explained, it was hard to work all day and then train that hard and then students had to go to work the next day. Not an easy way to train people without causing a little burnout! Now a days Ron trains people to train a little smarter. Appealing to both, the people who like the contact and practicality and the people who are there to get a good workout and just learn how to protect themselves well enough if something should ever come down, so he still retains that realism needed for true self defense. When he first opened up a school, he started out by teaching just Kun Tao, although there was a touch of the other systems he was learning which was slowly becoming part of the routine of his style. His martial arts and his teaching began to evolve more and more as time went on. He soon became the topic of controversy amongst some of the other Black Belts in Kun Tao, due to the fact that at the time, he was mixing the different martial arts. As a practitioner of Jeet Kune Do in those days along with a few other of the related fighting methods he just wanted to follow Bruce Lee’s philosophy to absorb what is useful, disregard what is not and take only what is your own. He never really liked to talk about why at that time he did not want to teach Mr. Rossi’s Kun Tao in the way it was taught to him even though he was one of Mr. Rossi’s most loyal and knowledgeable students. Mr. Rossi knew Ron was keeping an open mind and gave him his blessing to learn how other systems work and to teach his martial art the way he wants to. After speaking to Mr. Rossi about that, he said it was just another learning process for his student and knew he would eventually come to his own conclusion on Kun Tao and all his other styles he was practicing and he did and it shows today. Ron did not start to separate the systems in his teachings until around 1995-1996 at his school. In his mind, he had what were a few answers for himself and he did not want everyone else to have just his conclusion in martial arts. So for self-defense purposes he taught each aspect in separate classes so his students would not just follow “his way” and he wanted his students to be able to come to their own conclusion of works best for them. Although there is so much controversy on this idea, it is the concept of Jeet Kune Do. Now a days, there is a kicking, boxing and trapping class (Jun Fan Gung Fu, Jeet Kune Do), a grappling class (the fourth range in Jeet Kune Do), a Kali, Arnis and Escrima class and since 1996 a separate class also for Kun Tao. Before this Ron used to teach Kun Tao in its pure form only to private students and military personnel. Besides the regular classes at the Practical Self Defense Training Center, he now has students that come to him from different parts of the US and Canada and teaches them privately and through his bi-monthly workshops that are held at his school. Ron also does an occasional seminar at other martial art schools as well as specialty training at some of the colleges in the New England and New York area. The Practical Self Defense Training Center is now well over a 4500 square foot facility with wall to wall mats, ten 155lb Thai bags, four 70lb bags, weights and well over $2000.00 of different full contact equipment to go as hard as you wish which does a tremendous job of cutting down the chances of getting injured at the Practical Self Defense Training Center. 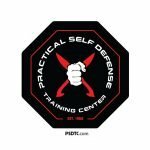 The Practical Self Defense Training Center has come a long way since the days training out of his garage. Guru Dan Inosanto- Jun Fan Gung Fu, Maphilindo Silat, Kali, Arnis, Eskrima/Escrima, Jeet Kune Do, Shoot Wrestling, etc. There are many seminars, training camps and different schools he has visited and trained in various martial art styles over the years and where the names are not mentioned here. Not to be insulting to anyone by not mentioning his or her name. The above-mentioned names he feels were a major influence one way or another in his life and/or his knowledge and the way he teaches his martial arts. Ron also has many unmentioned friends involved in martial arts that had also influenced his martial ways. Ron’s fighting experience started a very young age in the neighborhood he grew up in, when just to keep his bicycle from getting stolen was a job in itself to start off his self defense mentality. Its not that this particular type of situation is martial art oriented but it is the start of understanding the ways of the street and what to be aware of by experiencing the predators who would take whatever they could get their hands on from anyone who is week enough to take from. And having that street awareness is an aspect of martial arts that should be understood by everyone if a person is looking to be able to defend himself. And so you can see, Ron’s foundation was well set from the beginning. From there he had many street and bar fights. These are the fights that Ron’s martial art training in some cases, definitely made the difference between not only just winning or losing a fight, but also life and death. Some of these fights were very bloody and many had ended up in hospital care. Fortunately at the time, Ron was lucky enough not to fall into the hospital care category. Ron say’s that in a few of them even though he prevailed, had some confrontations where he couldn’t even move off the coach for a few days the day after the fight, due to the fact there were so many people involved in these battles. He explains when you are up against more than one or two that really want to hurt you it is not easy and what people have to realize is you still can get hurt, cut or even shot. Around the time of his purple belt level in Kuntao, he had to calm down his fighting ways and getting in trouble with the law, especially since Mr. Rossi was putting pressure on him to do so. Before the tournament fighting experience is mentioned, it should be said that Ron was also a bouncer for a local club in his area. He was hired as a high paid bouncer due to the fact that there was a night where the college kids in the area used to take that particular time to let out their stored up aggressions after having a few drinks. The owner of the place was having a big problem with controlling the situations that usually occurred that particular night every week, even though there were six bouncers already working there. And Ron explains, wild they were on that night every week. Fights broke out both inside and outside the bar constantly. Ron’s knowledge in leverage for handling an individual worked very well for breaking up fights and walking people out the door, regardless of how problematical they were. Even when the other bouncers, who were considerably larger body types than Ron, had a hard time stopping certain situations, he was always very successful in controlling the circumstances. Ron explains, while working there he only had to hit a person once due to the fact the person he hit was real drunk, real big and would not stop fighting back. That individual finally ended up going to sleep after being choked out. He woke up later with a smashed nose with blood all over him and real dazed from going to sleep. Back in his Karate days he did quite a few point sparring tournaments. Some times a trophy came home with him, some times not. Ron explains how frustrating it was when he was disqualified for too much contact in point sparring tournaments. During the early 80’s, when he got into Wing Chun with Brian Cunningham and Philip Holder, there were a few small time kickboxing matches going on. Ron had fought in quite a few of these and had taken 1st place in all of the ones he fought in. Not long after that, Ron did his 1st Thai fight in 1992 in Philadelphia and had full contact world champion Kathy Long in his corner coaching him. Ron knocked his opponent out in the first round. When he went back home to Connecticut after that Thai Boxing fight, he got into a bad car accident, fracturing his neck and mid back. His fighting time was put on hold for a few years. Even though Ron had sustained these injury’s he still continued to learn and train to the best of his abilities. After constant treatment through acupuncture, muscle stimulation, massage and chiropractic for 2 years, his doctor (Dr, Oemke) had released him to train as hard as he wanted too. And recommended doing so to get his body strong again the way it was before the accident! With all his teachers living too far away to go all out in training him, Ron found Brazilian instructor by the name of John Pereira around 1994. Mr. Pereira teaches a Judo and Brazilian Jiu Jitsu mix. Mr. Pereira took a liking to Ron due to common interests and started by working every muscle used for grappling and throwing in his body. Ron says it was very frustrating how certain exercises were more important than technique to his sensei. Soon after training with Mr. Pereira, Ron’s whole grappling game was getting much better than ever. Ron had learned better than ever how to use every part of his body in wrestling very tightly, like a monkey as John Pereira would explain it. After training Ron for 2-3 hours for 3-5 days per week, Mr. Pereira saw potential in Ron to go into a no holds barred fight. The most popular one at the time was theUltimate Fighting Championship (UFC). And due to the fact Rorion Gracie had invited Ron as a one of the original cash investors in the UFC to get it started, everyone was confident that he would get in. Rorion, about a year later, wanted to pull his time and money out of the UFC and called Ron on the same idea so it was sold to SEG Promotions and a man named Art Davey was running the show after Rorion pulled out. Ron was training every day with John Pereira to be in top physical condition for this fight. John was bringing in people from all different styles out there for Ron to fight. Sometimes he would fight 2 to 10 people per day for practice and that was after conditioning for endurance. Wrestling 25-30 people 3 times around during a seminar or during Ron’s or John’s class was nothing for him during those times of constant training. Trying to give time to his children as well as running a school to keep paying the bills, Ron was trying like hell to get a fight in the UFC. Just before each fight he was told he was to show up for, Art Davey kept saying next time. Then when the next fight came around, again, 1 or 2 weeks before each fight Ron was prepared to do, Art would again say “next time for sure.” This was a lot of stress for Ron and John. Putting in all these hours and not getting a fight, because in those days it seemed to be hard to get in those type of fights if you didn’t have a big name. Now a days, it is much easier to get a fight like this due to the fact that there are many going on at all levels of popularity. Taking a another step back into time to explain a situation that had occurred that will explain a present situation. Going back around 1976 Ron had torn a cartilage in his knee. Ron did not go to the doctor right away figuring it would soon heal by itself. He continued to train in the martial arts (Kun Tao) even though his knee was in pain (something he would never do today understanding injuries must be tended to and rested for proper healing). After going to the doctor finally to get that knee checked out, the doctor said he had gone in to late and all the cartilage had to be removed. In those days they were lacking in any of the technology they have today for treatment of knees, so he had gone through the surgery to have the cartilage all removed. This was the start of a never-ending nightmare for him that was to get worse as time went on. For about 21 years after the surgery his knee was basically bone on bone. Ron’s hunger to learn and train in more martial arts did not help it any. Especially from his training in Thai boxing, a martial art that took its toll on his knee due to the continuous hard hitting while training. In early 1997 his knee was getting progressively weaker to the point where he would eventually need a cane to walk. For a few years before he had felt it get weaker but found ways to work around it. In 1998, when he could not handle the pain anymore he went to have it checked, only to receive the bad news that the knee would have to be replaced with a new one made of cobalt steal. You name the emotion on that news and Ron had it! This was a message to him that his sport fighting days are now gone before it could get going. Of course that was not a message to give martial arts up. When Ron was able to walk normal without help from a walking devises and started to gain his strength back to his knee he still continues his research in martial arts and still trains as hard as he could. He continues to see his teachers and he still teaches at the PSDTC. Sparring and wrestling with his students is still a major part of the curriculum. Ron feels it is important that he trains with his students in drilling and fighting because mistakes in timing rhythm and technique are best felt by the instructor to be corrected properly. As for fighting, Ron say’s if he has to fight now it will be for real because it will have to be in fear for his life in a self defense situation. He will stick to sparring around with friends and students and if they try to take him out…that lack of respect will be answered back with something that will gain their respect back if need be. Teaches a women’s self defense course at Adult Education in Litchfield Ct.
Certified Pekiti Tirsia Kali/Dumog, Manundlo Unang Hagden under Grand Tuhon Leo T. Gaje Jr.
Former stuntman and fight coordinator for the American Stuntman Assoc. & Stunts Inc.